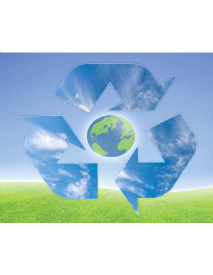 Due to the termination of the DuPage County contract for electronics recycling at local municipal locations, the Village will no longer offer monthly electronics recycling. The County's vendor, Creative Recycling, terminated its contract in July. The County was able to provide this service for free because electronics manufacturers were required by law to subsidize recycling. The cost and demand for recycling now outweighs the subsidy, so recycling vendors have passed on the cost to municipalities or canceled their contracts. Since August, the Village has offered four additional events, at the Village's expense, with Vintage Tech Recycling. During this time, DuPage County has looked for a vendor arrangement that would continue to provide the service at no cost to municipalities but has not found a vendor for the service. Village staff will continue to work with the County to look for opportunities to provide this service.